Special Needs, Wheelchair Accessible, Limitless, ADAPTIVE Swing sets! NOW YOU CAN PROVIDE A RUBBER COATED SURFACE AS AN ACCESSIBLE ENTRY WAY TO ADAPTIVE SWINGS, SPECIFICALLY TO THE ‘WHEELCHAIR PLATFORM SWING’ (seen in many of the designs below) ! Please review our design for a 19’ by 5’ by 2.25” thick rubber surfaced concrete area with solid vacuum-formed ‘Playground Tiles’ (which are glued to a concrete ‘approach’ sidewalk) as a path to your accessible wheelchair swing seat. 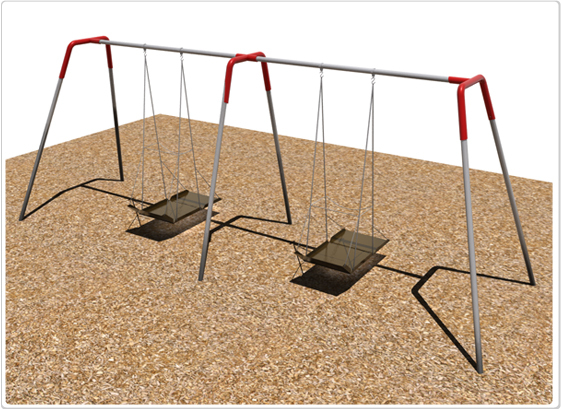 Many organizations cannot afford the cost ‘poured in place’ or 'rubber tile’ safety surfacing over their entire swing set area. Consider this RUBBER COVERED WHEELCHAIR PATH (Item #D-19-5) which can be used in combination with other surfaces such as wood chips, rubber chips, or even sand. 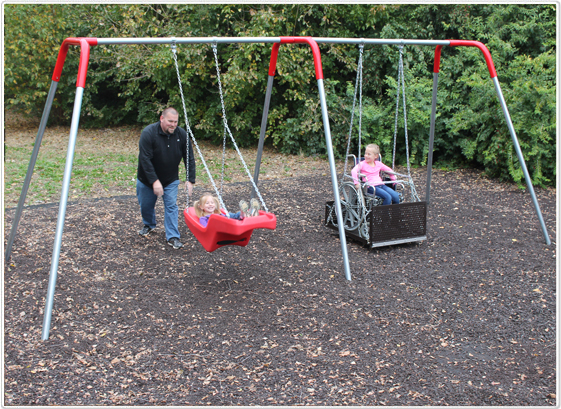 See some of the other success stories of adaptive, accessible swing set projects from customer photos which some of our customers have proudly sent in. Installing an adaptive , accessible swing set is a great thing to do and is a fun project … and you will offer true freedom for both abled and disabled members of your community! 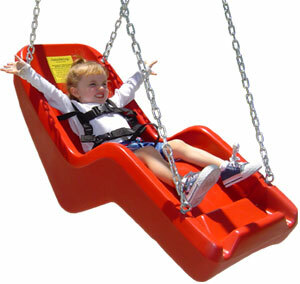 Many customers customize their own adaptive swing sets to fit their needs and we encourage it~! 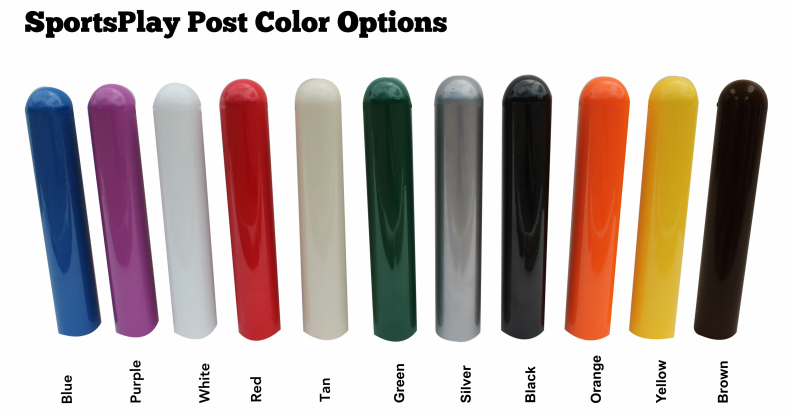 Choose your own color scheme! Mix and match adaptive seats with infant seats or belt seats. We offer over 100 swing sets, and you can customize them all your own way. 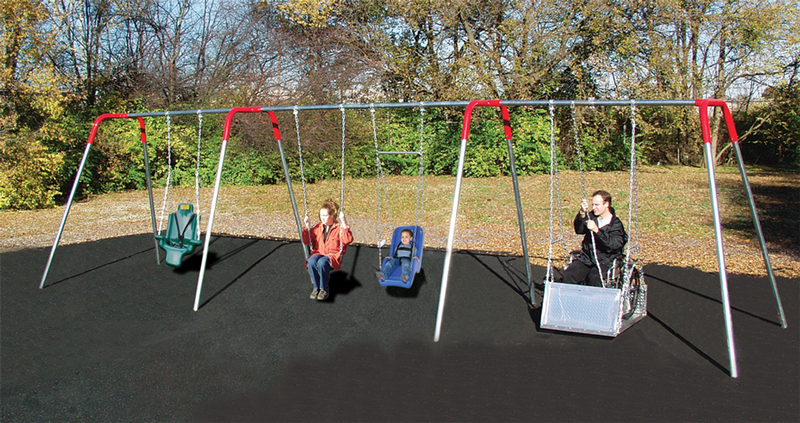 Special Needs , accessible Swingsets are available in one, two , three and four bay models. 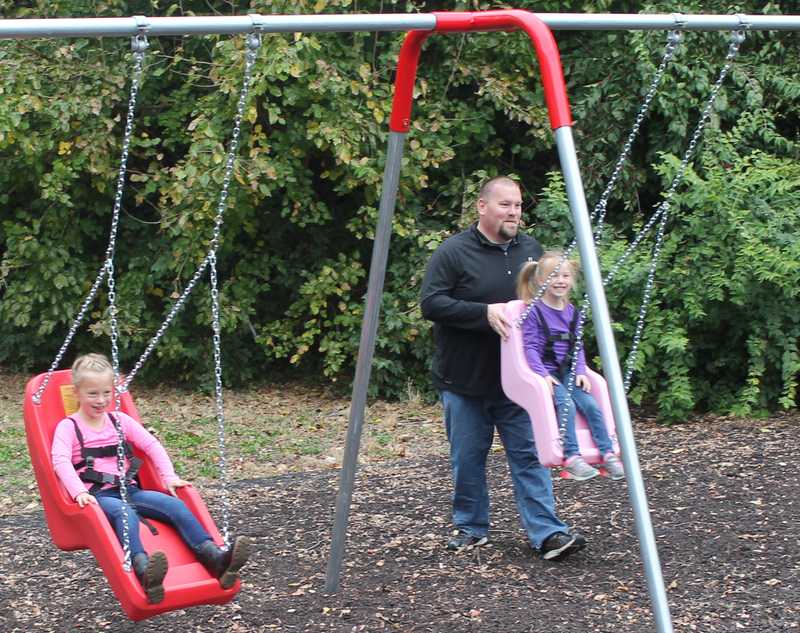 Or, using ‘swing frame only’ models, you can customize your own ADA swing set ! Choose seats from our selection of ‘Adaptive’ ADA style swing seats, and integrate your swingset from our selection of swing seats from our swing accessories pages to promote and ‘mainstream’ the inclusion of abled children and citizens of all ages , with the disabled community or anyone who has limitations! 4-Bay Heavy Duty Swing 8’ tall with (3) BAYS 11’ long, plus (1) bay 7’ long, with (1) Wheelchair Swing Platform (on right) and (6) Belt seats on left. Picture shows 19’by 5’ rubberized approach Item (#D-19-5) sold separately, installed over customer supplied concrete which promotes access to public sidewalk. (Black, 2.25” thick playtiles for 19’ by 5’ area for accessibility to wheelchair Swing.) Rubber mat includes glue, wedges, inter-connecting connectors. Note: Site Prep includes customer supplied concrete and labor for a 19’ by 5’ concrete surface (sidewalk). Concrete is installed first. The rubber tiles then glue to concrete path . THREE BAY MODEL 581-486-BG : Active , 8’ tall , Commercial, Adaptive , Accessible Swing Set shown above with: (1) Belt Swing Seat, (1) Jennswing, (1) Large-Child Adaptive Seat, and (1) Wheelchair Accessible Swing Platform with Pull Chain Attachment. 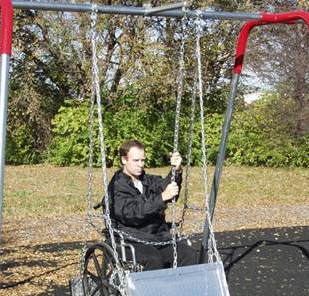 Accessible swings have been specially designed to accomodate both adult and juvenile wheelcahirs, even motorized wheelchairs. Optional pull chain enables users to enter, propel themselves and exit on their own. The wheelchair platform can be attached to almost any frame. Pictured above : Portable swingset #382-404H , (Includes adult wheelchair swing platform and swingset frame ) Note: This all weather , indoor or outdoor and ‘portable' swingset is free-standing, and does not require concrete. It is best suited for private facilities, homes, hospitals, indoor school areas. It can be moved. For outdoor, and any public access playgrounds, ( city parks , state or federal parks, school playgrounds etc. 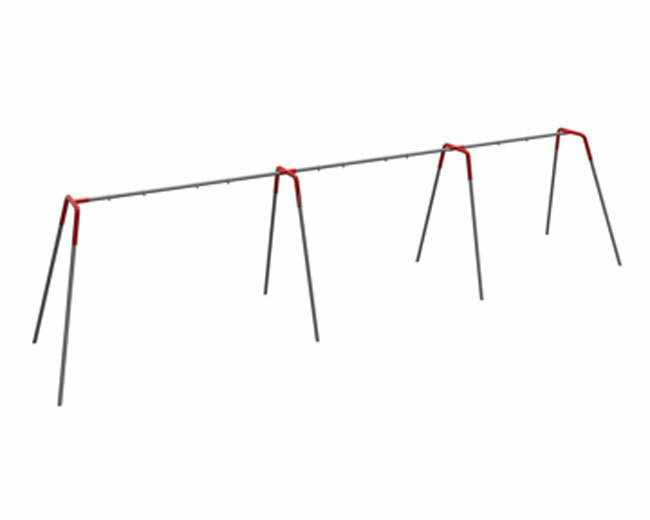 ): we recommend that you choose the 'permanent ‘ model swingset #381-404H. 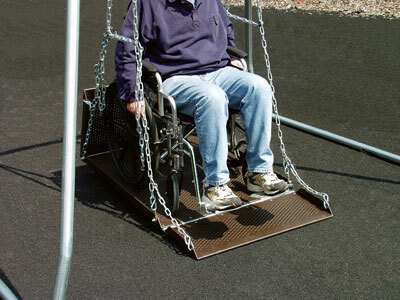 Wheelchair swing platforms can be locked in place when not in use for safety. Instructional videos of wheelchair accessible swing platforms available online. 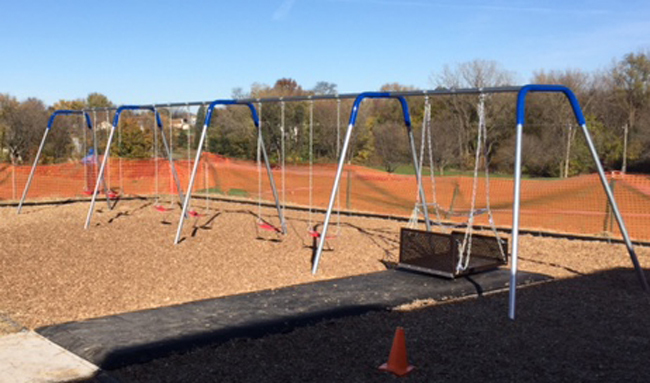 ALL MODERN STYLE SWINGSETS ARE SHIPPED WITH NON-PAINTED, HIGH QUALITY GALVANIZED STEEL TOP RAILS AND LEG PIPES. Pictured above is Adult Swing Platform #382-408 . This item has been on the playground market for more than 35 years. 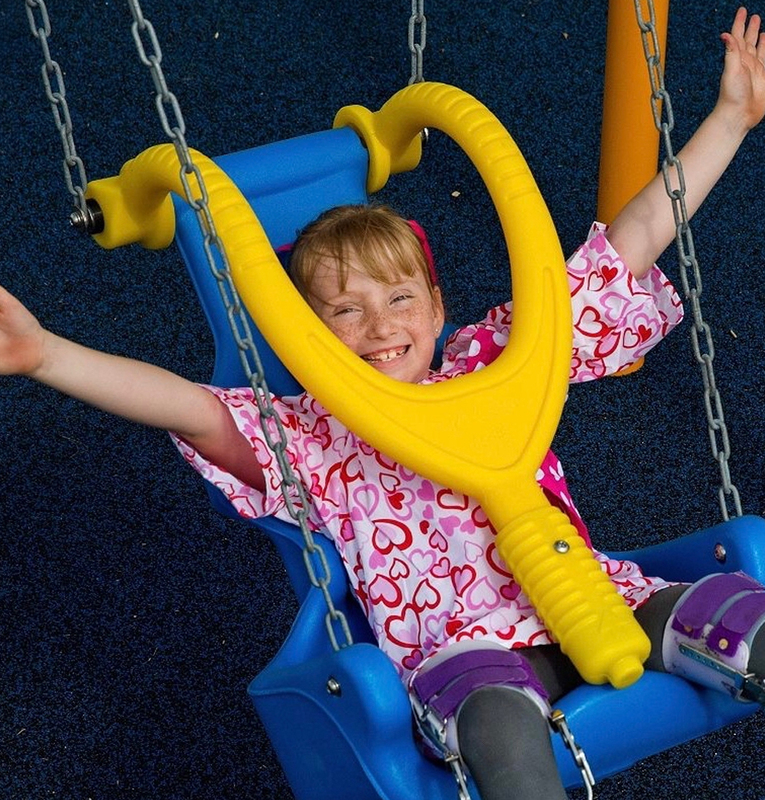 The St. Louis factory that designed this swing platform was the very first to manufacture an 'ADA swingset’ in the United States, many years before the ADA (AMERICANS WITH DISABILITIES ACT) was passed IN 1990. The factory is still the leader in the worldwide sales of wheelchair accessible swing sets , with a selection of over seventy high quality swingsets for the abled and the dis-abled. ENTRANCE AND EXIT RAMP PROVIDES EASY ROLLOUT ! 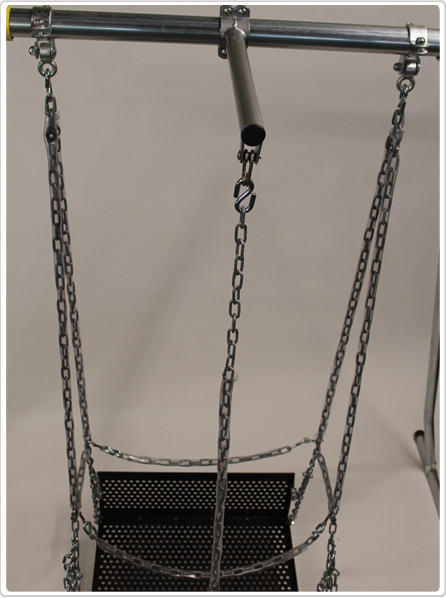 Both our adult and juvenile 'wheelchair swing platforms' have restraining chains to hold wheelchair in place. In addition, the front ramp will always be closed after rider has entered the platform, before use. The rear ramp is always in the closed position. Wheelchairs enter only from the front. Your wheelchair should always be in a ‘locked' position once on the platform. Your wheelchair rider will be thrilled at the chance to swing with the other kids. Ask for our You-Tube demonstrations. Note: The swing platform is designed for an 8’ toprail. 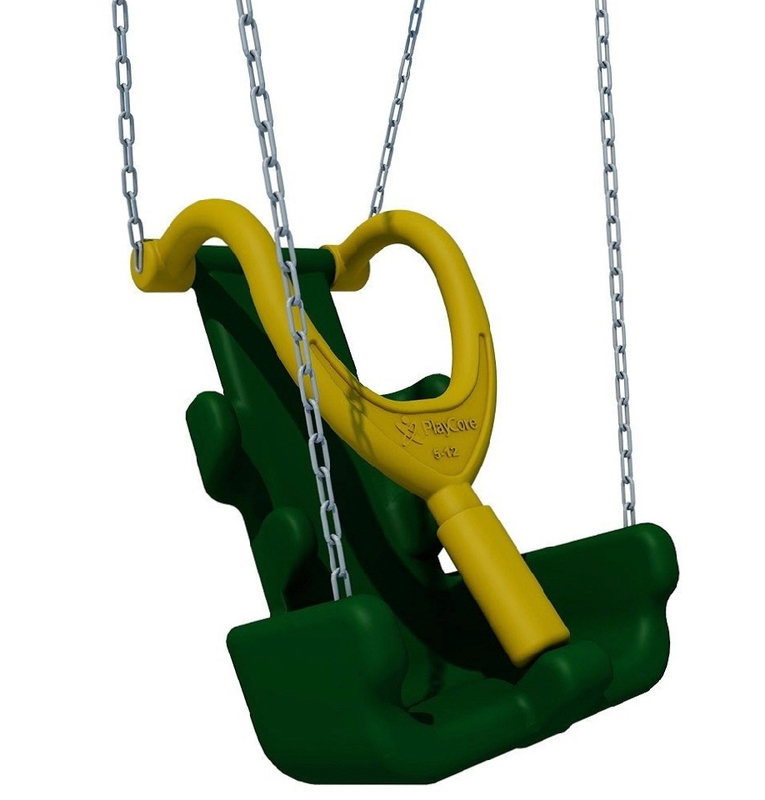 If your existing swing set is taller, please give your us your dimensions. Note: The platform swing platform does NOT include ‘swing hangers’ . 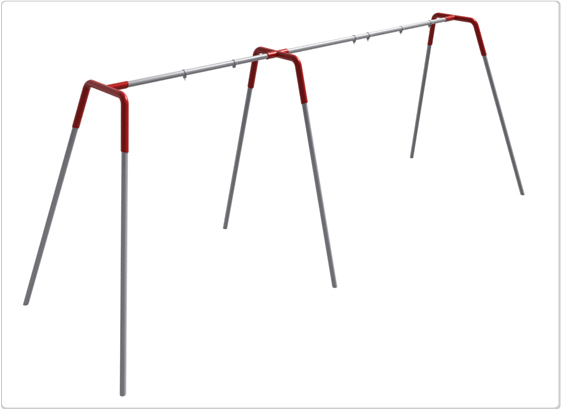 If your existing swingset does not have swing hangers, please choose the appropriate swing hangers for your swingset from our ‘Swing Accessories’ page, under the Swingset category. Note: 'Hard rubber surfacing ’ or any safe, compacted surfacing is an ideal and recommended path as entry to this or any ADA swing seat. This path would connect your public sidewalk. 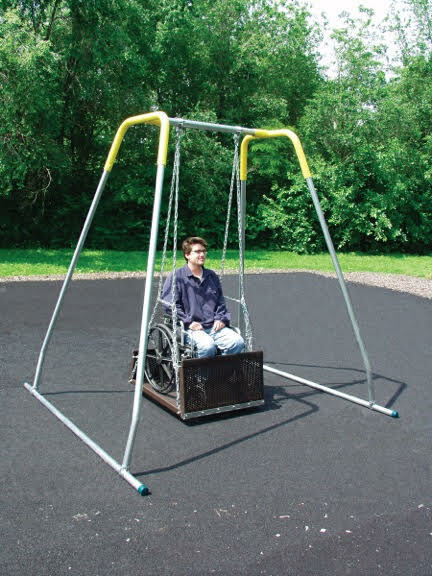 The Wheelchair Swing Platforms have a recommended weight capacity of 800 lbs. The adult version will be more likely to accommodate a power chair, but it depends on it’s size. Please measure your wheelchair to confirm that it will fiit the posted dimensions of the ‘Platform Swings’. 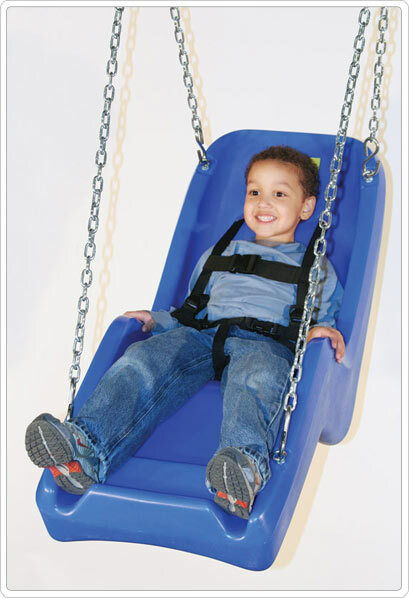 Our Swing Platform with Frame is featured for adults or juveniles in portable and permanent models. In the true spirit of providing access for persons of all abilities; we are proud to offer these truly unique products. These accessible swings have been specially designed to accommodate both adult and juvenile wheelchairs; even motorized wheelchairs! Front ramp allow easy access onto and off of platform. The rear ramp is locked in the upright position. Weight capacity is 800 pounds. Optional pull chain enables users to enter; propel themselves and exit on their own. The adult platform is 32"W x 38” L. Ages: children or adults. Thermoplastic coated platform. Rated top choice by wheelchair professionals. Note: This is a chain attachment with one end connected to the toprail of any ADA swingset , then connects on the other end to the wheelchair platform itself. Chain is plastic covered to prevent pinching. If abled, it allows the rider to swing themselves by simply pulling down on the chain. This helpful device promotes independence! Add this to any of our ADA swingsets. Ships UPS. #1 Best seller ! JennSwing@ Adaptive Molded Swing Seat! 14' W x 11' D x 45" total length; 125 lb. capacity; Ships UPS. 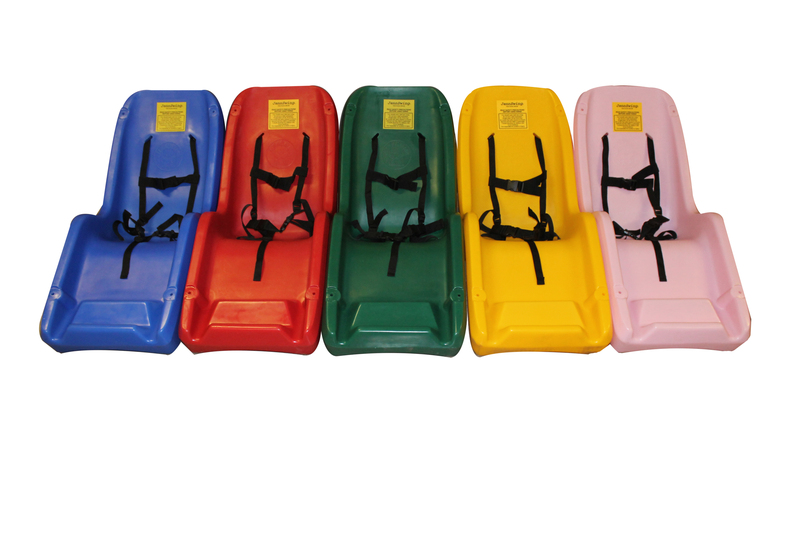 The seat is made out of durable, rotational molded polyethylene plastic and will accommodate children up to 125 lbs. The seat is 14” wide x 11” deep. The seat back is 24” high and knee to foot length is 14” long. It is 45” overall and has a 3/16” thickness. The semi-reclined design offers better upper/lower body support. Let rest gives added support and the arm rest provides lateral support. 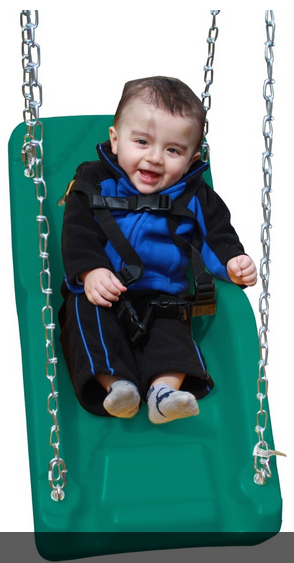 There is a fully adjustable safety harness that securely locks the child into place. The seat should last 2 years in harsh conditions and up to 5 years in optimal conditions. Need frame height when ordering. 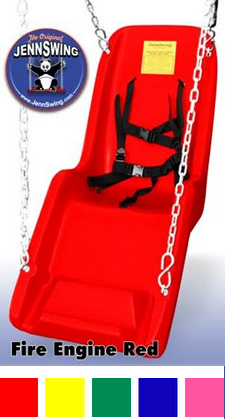 (1) Official, JennSwing® Safety Swing Seat in one of the five great colors (Fire Engine Red, Banana Yellow, Jungle Green, Ocean Blue, Bubble Gum Pink) from which you can select from. 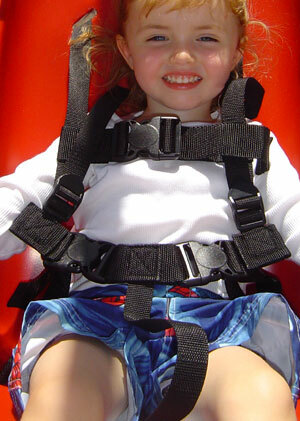 (1) Black, full assembled and factory-installed official JennSwing® harness kit. (Other color options will possibly be made available in the near future) Identical replacement harnesses are also currently available as needed. (1) Pre-assembled, official JennSwing® chain/installation kit. Your new JennSwing® safety seat will come to you packaged in a plain, brown box (new official JennSwing® labels are in the midst of being designed), accurately measuring (rounded up here to nearest inch for shipping purposes) - 17" x 18" x 47" - and they in turn weigh (average, rounded up for shipping purposes) - 31bs. each. Check for available our ADA Ramps. Weight: 19 lbs. Weight Limit - 60 lbs. (1) Fully assembled and factory-installed official JennSwing® harness kit. 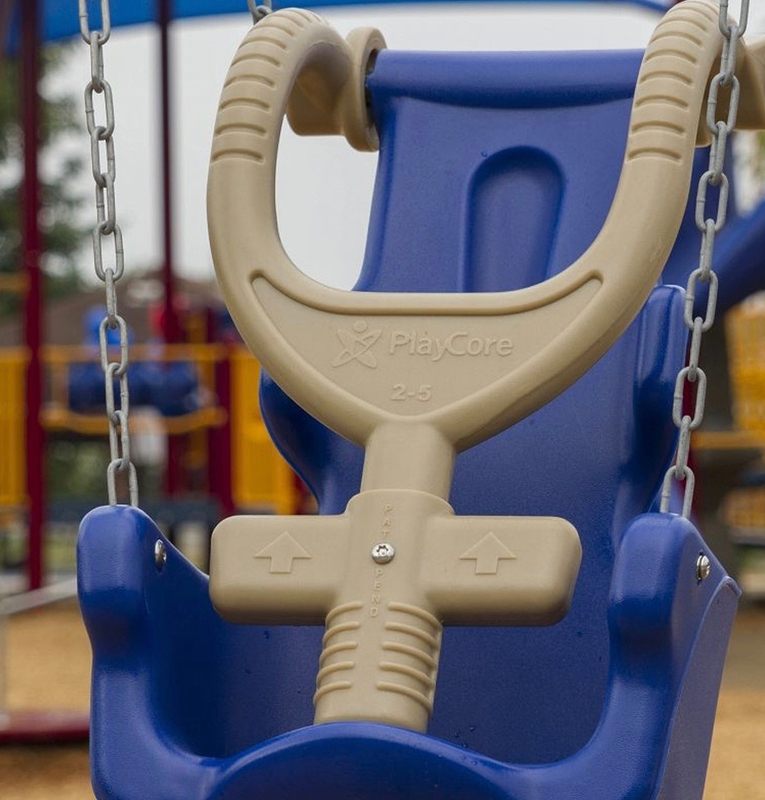 This Adaptive seat is available to add to your exisitng swing set or to customize your new swing set to promote diversity and inclusion on your playground! ADA compliant, meets standards for ASTM and CPSC. This adaptive swing seat promotes inclusion to your play area for kids with disabilities or limitations. 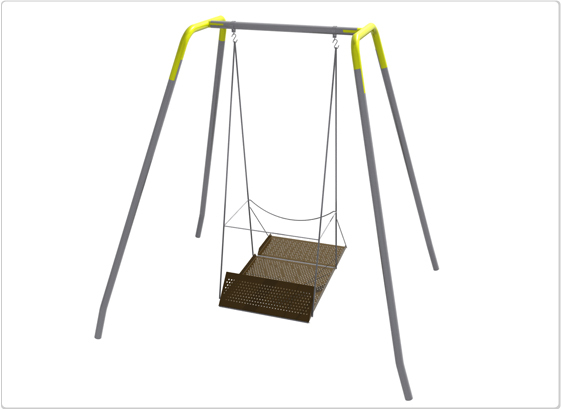 The seat can be installed on your exisitng swingset, or as an addition to or seat substitution to one our 100+ swingset models. 125 lbs capacity; Includes seat, (5) point harness and swing chain. This seat connects to your swing hangers, to an 8’ high swingset toprail. Includes ’S’ Hooks to attach to your swing hangers. We offer this as a complete unit with seat, harness and chain to allow for a seamless and easy installation. 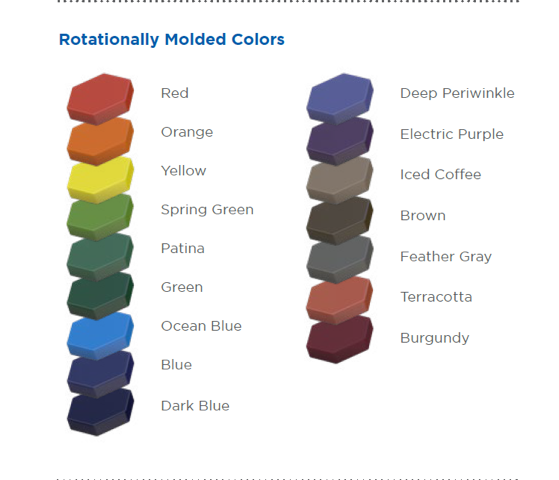 Swing Seat Color Choice: Red, Orange, Yellow, Spring Green, Patina, Green, Ocean Blue, Blue, Dark Blue, Deep Periwinkle, Electric Purple, iced coffee, Brown, Feather Gray, Terracotta, Burgundy. 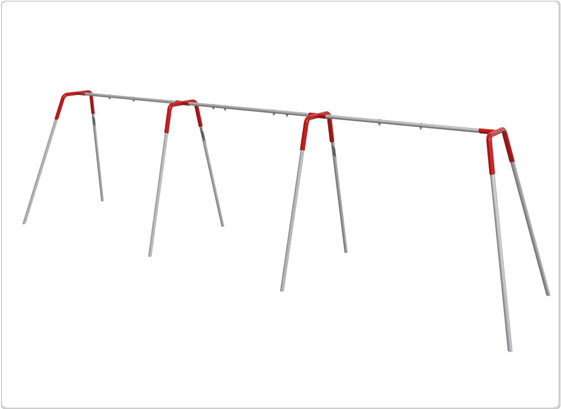 'Swing frame only' models include swing frame and swing hangers only . (They do not include seats, chains, clevis or ’s’ hook connectors). 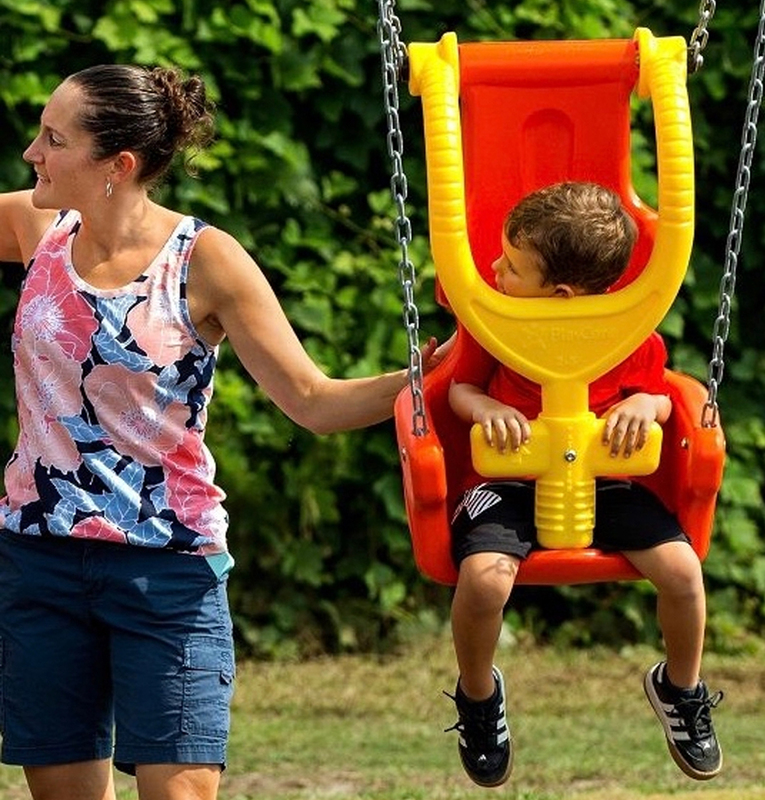 For the purpose of creating your own ‘adaptive, accessible swingset’, go to our swing accessories pages and choose from a selection of belt seats, infant and toddler seats. Mainstream abled with disabled riders! Add to your selection of adaptive and accessible swing seats, and tailor your ADA accessible swingset according to the inclusive needs and size of your community playground. Copyright © 2003-2018, Bluegrass Playgrounds, Inc., 1056 Fedde Lane Ashland, NE 68003 USA.